Remember the days when your child was this little? Treasure that moment in time with a canvas handprint! All supplies used for this project can be found at our Bonney Lake store. 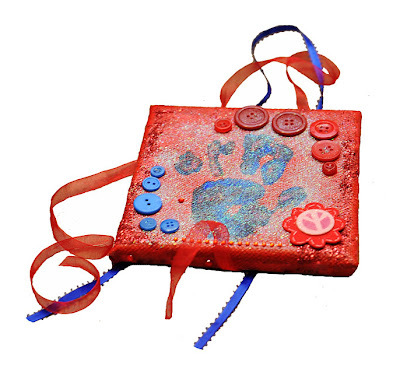 Have your child paint the canvas with the color of their choice with a paintbrush. Painting the sides of the canvas is optional. 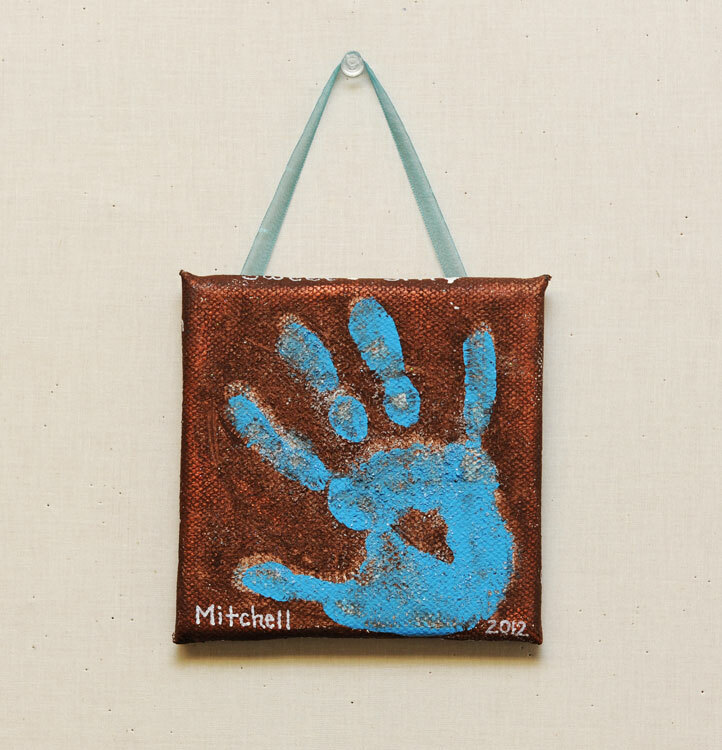 Apply paint to the child's hand using a paintbrush in the color of their choice. 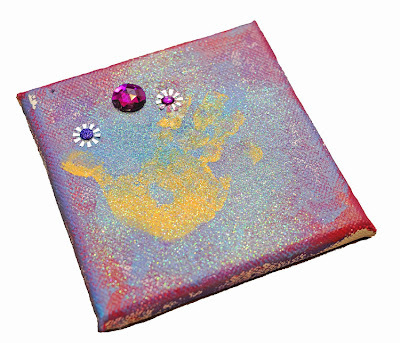 Assist your child in pressing their hand firmly onto the canvas to create the handprint. You can touch up the handprint on the canvas with the paintbrush if some areas did not properly transfer. Apply adhesive to the embellishments your child wishes to use. When finished, set the canvas aside to let dry. Once dried, use a stapler to staple ribbon onto the back of the canvas. Proudly display in an area of your home. 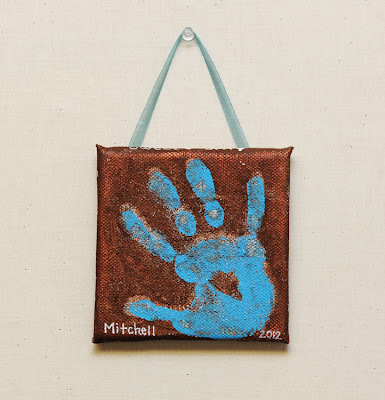 Here are a couple of canvas handprints that were made in our Mommy and Me Class. Our Mommy and Me Class is designed for children of all ages. You can register in store for our Mommy and Me Class, which occurs every Tuesday from 10:00 a.m. to 11:30 a.m. for the month January. good hand crafts..for the kids really helpful tips..
Acrylic Paints: Which One Should I Use? 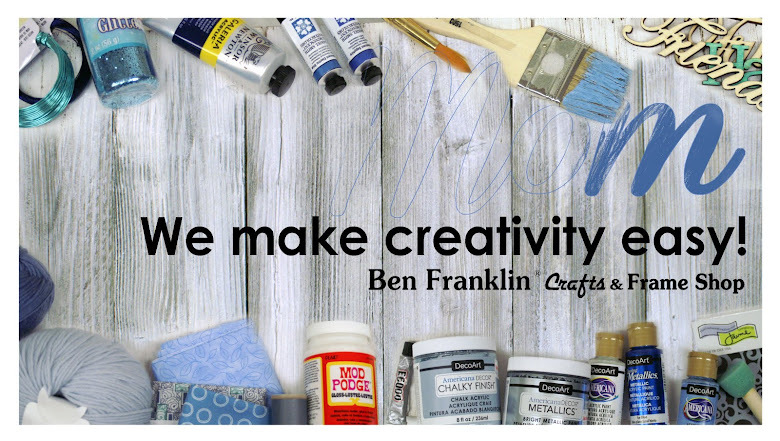 © Copyright 2011 Ben Franklin Crafts & Frame Shop. All Rights Reserved. Simple theme. Powered by Blogger.